Who Can File a Talcum Powder Ovarian Cancer Lawsuit? If you or a loved was diagnosed with ovarian cancer and have a history of talcum or baby powder use you may be entitled to damages. We provide free no-obligation talcum powder ovarian cancer lawsuit case review. We do not charge attorney fees unless you receive compensation and you are under no obligation after your initial consultation. The attorneys handling baby powder cancer cases at The Onder Law Firm have vast expertise in handling claims of individuals against large, billion dollar corporate empires. These experienced litigators in cases of harmful drugs and other products have seen the aftereffects of numerous hazardous products and drug recalls. Recognizing the seriousness of these talcum powder ovarian cancer cases, this national drug litigation law firm is offering its significant resources to provide clients with the best baby powder cancer legal representation possible. These baby powder ovarian cancer attorneys will provide a free case review to persons who were diagnosed with ovarian cancer and have a history of talcum powder use for perineal hygiene. The Onder Law Firm’s talcum powder cancer attorneys provide experienced legal representation without fee unless they collect for their clients. We will represent all persons involved in a talcum powder lawsuit on a contingency basis, meaning there are never any legal fees unless we win compensation in your case. For a free no-obligation consultation please fill out our short online contact form and one of our attorneys handling baby powder lawsuits will contact you to answer any of your questions. 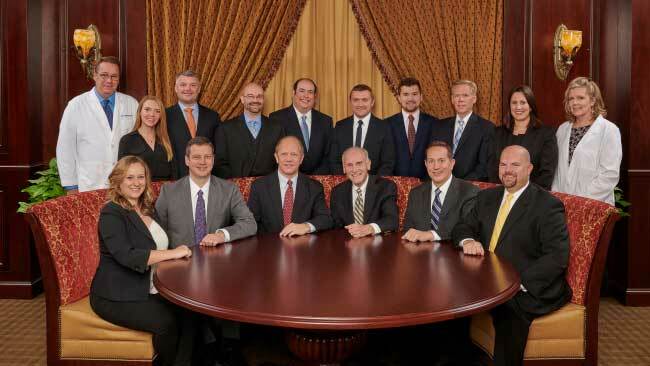 OnderLaw, LLC is a St. Louis personal injury law firm handling serious injury and death claims across the country. Its mission is the pursuit of justice, no matter how complex the case or strenuous the effort. The Onder Law Firm has represented clients throughout the United States in pharmaceutical litigation such as Vioxx, Digitek, Ethex and others, and other law firms throughout the nation often seek its experience and expertise on complex litigation. For more information, visit www.onderlaw.com or call 1-877-ONDER-LAW.